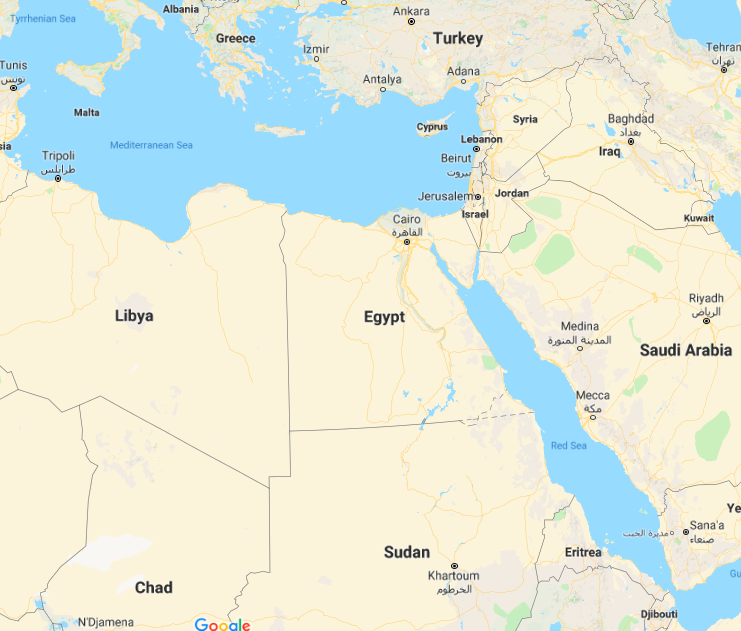 “Egypt.” Map. Google Maps. Google, 31 Oct. 2018. Web. 31 Oct. 2018.
dates back to thousands of years.Immediately upon hearing the name of this culturally rich nation, we feel compelled to form images of the sphinx and the pyramids in our minds, and several civilizations rose and fell on the banks of the Nile river that breathes life into this densely populated country. Houda came to the United States in 1995 in order to give her children better opportunities for education after living in Egypt for most of her childhood. Houda talks about the meaning cultural clothing has within Egyptian society. In her interview she described a separation between classes, one which wears the abaya or galabiya on a daily basis and another class which keeps traditional dresses as beautiful pieces of clothing in their closets. Her mother used to wear long dresses within the house, just as Houda does at times when she is cooking because she feels comfortable in them. When she visits Egypt she receives presents from aunts and uncles that usually consist of cultural dresses but Houda feels most comfortable wearing modern clothing when she is in both Egypt and America.